This is a good opportunity to get a taste of Lake Ontario with a run, just 7 miles north of Rochester. Durand Eastman Park is nearly 1,000 acres, including 5,000 feet along the Lake Ontario waterfront. There are many trails options in the park, featuring steep wooded slopes, valleys, scenic vistas, and small lakes. 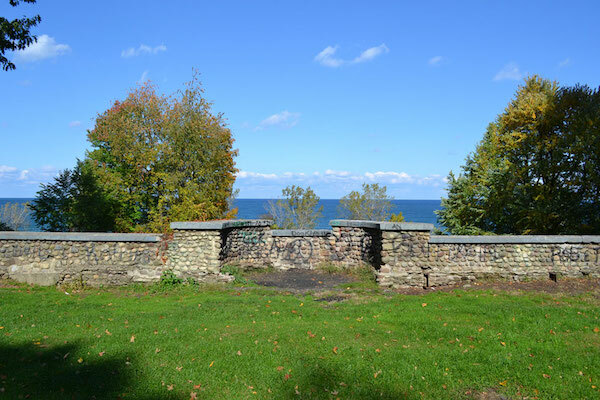 A highlight is the nearly 1.5 mile section of along Lake Ontario, part of the 2.2 mile Lake Ontario State Parkway Trail. Other good running opportunities include the 1.5 mile Eastman Lake Trail, featuring rolling terrain, and the 1.2 mile Durand Lake Trail, which is a bit more rugged. A pleasant add-on is ~1.5 miles along the waterfront near the Seabreeze Amusement Park, using Culver Rd. and Lake Rd., to Bay Rd. Waterfront path is off Lake Shore Blvd.